Health Promotion & Behavioral Sciences seeks to promote healthy lifestyles and prevent disease through the application of social and behavioral sciences. Enjoying the highest attainable standard of health is one of the fundamental rights of every human being. Health promotion is based on this critical human right and encompasses a positive and inclusive concept of health as a determinant of the quality of life and physical, mental, and spiritual well-being. It is a core function of public health and contributes to the work of tackling communicable and noncommunicable diseases and other threats to health. At the UTHealth School of Public Health, students in Health Promotion & Behavioral Sciences are surrounded by faculty who make differences every day in the areas of childhood obesity, cancer prevention, AIDS/HIV prevention, sexual education for teens and teen pregnancy prevention. Numerous opportunities exist for students to participate in teaching, research and service activities. Coordinated Approach To Child Health (CATCH) is program in elementary and middle schools across Texas that has shown positive results in reducing child obesity and has proven to be cost effective. It’s Your Game is an interactive gaming program designed to educate middle school students about HIV, sexually transmitted diseases and pregnancy prevention. It has shown a reduction in risky sexual behaviors and a delay in sexual initiation. Latinos in a Network for Cancer Control (LINCC) is a network of academic, public health and community partners working to accelerate the use of evidenced-based cancer control in communities through community-based intervention and dissemination research. A World Health Organization Collaborating Center, the Center for Health Promotion and Prevention Research (CHPPR) conducts research to develop, evaluate, and disseminate health promotion and disease prevention programs in diverse settings and populations. Our vision is to promote healthy lives in healthy communities. The vision of the Michael & Susan Dell Center for Healthy Living is healthy children in a healthy world, with a mission to serve as a state, national, and international leader in the promotion of healthy living. The Center seeks to achieve this through the prevention and control of childhood obesity by promoting healthy eating and physical activity, policy and environmental change, and professional education and community service. The Master of Public Health in Health Promotion & Health Education is the basic professional degree and integrates the core public health disciplines with behavioral and social sciences. The majority of full-time students take approximately 18 to 24 months to complete the degree, with 45 hours including six hours of thesis and practicum combined. The DrPH degree in Health Promotion & Health Education is designed to develop leaders in health promotion practice. Students are trained to conduct applied research in public health settings. It is primarily designed for those who plan to apply scientific discoveries and use strong analytical skills to assess public health problems. They are also trained to develop, implement, and evaluate theory-based public health interventions in practice settings. An important component of this degree program is the ability to communicate findings to the public and policymakers. DrPH students are required to complete a minimum of 48 semester credit hours of coursework (a maximum of nine combined credit hours of practicum, thesis or dissertation count toward the minimum of 48 credit hours), one minor area of study. The PhD in Behavioral Sciences and Health Promotions is designed to provide students with the skills necessary to succeed in academic and research positions. The PhD program primarily prepares scholars to integrate and develop state-of-the-art social and behavioral science theory, design, and analytic approaches to examine current problems in public health. The emphasis in this degree program is preparation for independent research and teaching. An important component of this degree program is the ability to contribute to the scientific literature. PhD students are required to complete a minimum of 48 semester credit hours of coursework (a maximum of nine combined credit hours of practicum, thesis or dissertation count toward the minimum of 48 credit hours), a breadth and one minor area of study. Submission of a writing sample that demonstrates competence in written communication for academic work. The applicant should be the sole or first author on submitted work. Theses, publications, or other academic work are preferred. The Cancer Education and Career Development Program is for doctoral students in all departments of UTHealth SPH and has an established track record in helping to launch academic research careers in cancer prevention and control. Pre and post-doctoral fellowships are available. The goal of the graduate training program in breast cancer disparities is to train a new cadre of innovative and highly skilled researchers and practitioners, from populations who are disproportionately affected by breast cancer, who are committed to the elimination of breast cancer disparities. The program will encourage the brightest master and doctoral students at the UTHealth School of Public Health to pursue careers as researchers or public health practitioners focusing on breast cancer disparities. The program will provide trainees with the necessary skills needed to successfully reduce breast cancer disparities by offering a rigorous specialized training program that includes formal coursework and mentored research/practice experiences. Patient advocates will be an integral part of the training program and will mentor the trainees as well as add the patient perspective. Research focus: Individual, social, and environmental determinants of eating and physical activity behaviors of infants, toddlers, preschoolers, children, adolescents, and their families. Effects of nutrition and physical activity interventions on behavioral constructs, body composition, and metabolic profiles in youth. Career opportunities in Health Promotion & Behavioral Sciences are diverse, and may involve working with individuals, families, schools, worksites or communities. Work settings include universities; federal, state, and local agencies; healthcare organizations; corporations; and non-profit organizations. A Community Health Educator plans, develops, implements, and evaluates health education strategies, interventions, and programs to improve the quality of life and health outcomes of diverse populations. These professionals use a variety of health education methods and approaches to improve the health of individuals and communities. A Health Promotion Research Scientist plans and conducts scientific studies to identify and solve public health problems and provides scientific expertise to various agencies and organizations. Researchers identify and find solutions for critical public health issues that impact individuals and communities. A Federal Agency Director plans, develops, manages, and evaluates policies and activities in areas such as primary health care, maternal/child health, HIV/AIDS, infectious diseases, population/family planning, nutrition/micronutrients, and environmental health. A Director of Community Health and Wellness in a non-profit organization oversees day-to-day activities including the quality, marketing, and promotion of its programs; participates in strategic planning and visioning; provides effective facilitative leadership; and keeps abreast of health promotion trends and anticipates future needs. 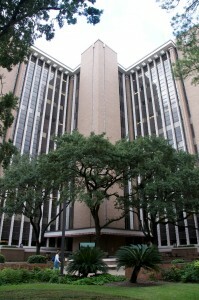 Take a tour of the Texas Medical Center! Please use the form below to request information. On behalf of the Faculty, staff and students in the Department of Health Promotion and Behavioral Sciences, I welcome you to the School of Public Health.